The department store chain is set to close all four of its outlets at Intu shopping centres after failing to agree “reasonable terms” with landlords. House of Fraser, which was bought by Sports Direct owner Mike Ashley in August, revealed the business was now in consultation with staff at four stores but has not confirmed how many jobs are at risk. As it stands, House of Fraser faces closing its Lakeside, Metrocentre, Norwich and Nottingham stores in the New Year. 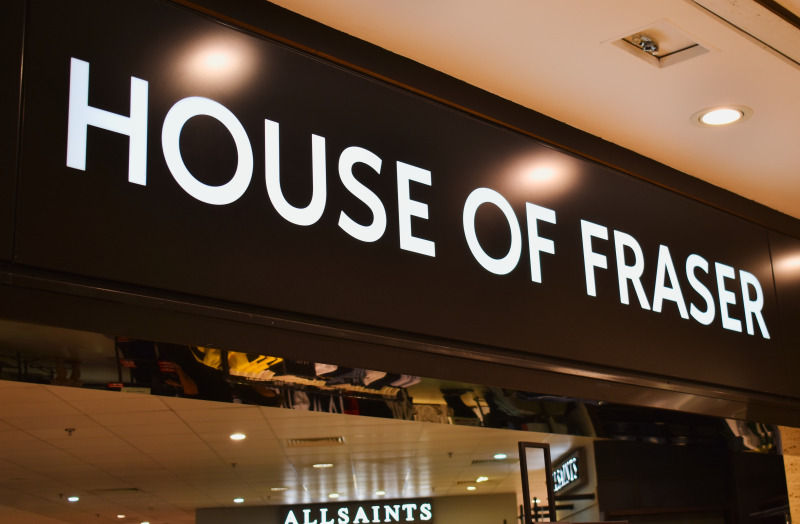 There have been suggestions that the stores were “underperforming”, however, House of Fraser has not commented on this and said it was making today’s announcement “with regret”. The company said in a statement: "We had various meetings with the landlord, Intu Properties plc, and adopted a flexible approach. “Despite our best efforts we have been unable to agree reasonable terms for these stores to continue trading. The news comes just months after it was announced that the department store chain’s flagship Oxford Street store had been saved from closure, after its new owners negotiated revised terms with landlords to remain in occupation in the famous London shopping location. The latest round of possible closures is another blow to the business after it was announced that SCS was pulling its concessions out of 27 House of Fraser stores after sales throughh the channel more than halved.